‘Walking Blank’ is a sculpture by Canberra artist Rosalind Lemoh. 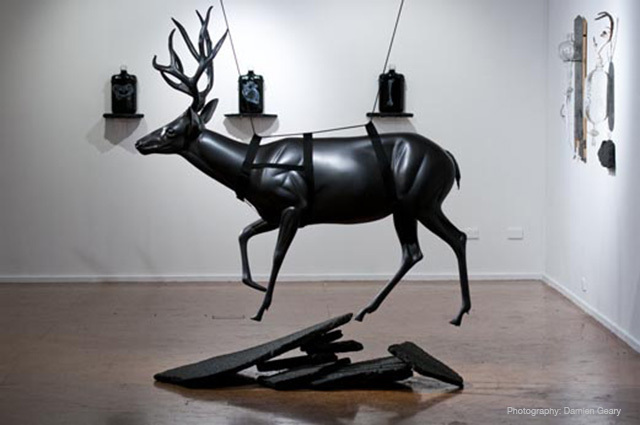 Using a taxidermists mannequin (referred to as a blank), the deer has been remodelled and coated in Axolotl Graphite, to create a sleek industrial form that explores the relationship between the natural and urban environment. Published on January 10, 2013 by Jackson Wicks.